Discover your Las Vegas home-away-from-home at Marriott's Grand Chateau, a premium vacation ownership resort right off the exciting, world-famous Strip. Situated on Las Vegas Strip, this eco-friendly condo resort is within 1 mi (2 km) of T-Mobile Arena and High Roller. Sands Expo Convention Center and Fashion Show Mall are also within 2 mi (3 km). 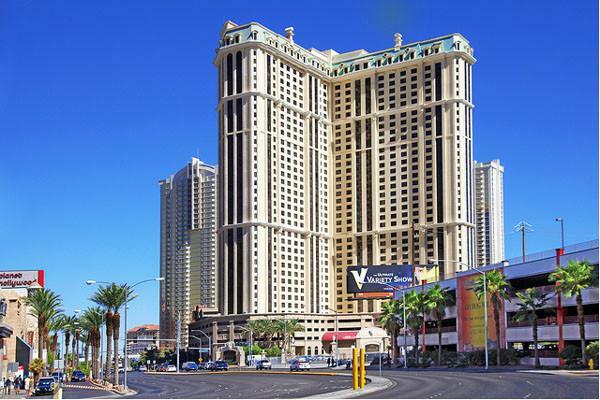 Ballys and Paris Las Vegas Monorail Station is 8 minutes by foot and MGM Grand Monorail Station is 10 minutes. This smoke-free condo resort features 2 outdoor pools, a restaurant, and a fitness center. Free valet parking and a free shopping center shuttle are also provided. Additionally, a poolside bar, a snack bar/deli, and a spa tub are onsite. Each condo offers comforts like a pillowtop bed and premium bedding, plus free WiFi and an LCD TV with cable channels. Guests can appreciate conveniences like a sofa bed and a dining area, and other amenities include a sitting area and a DVD player.